How Long Before the Cellphone Replaces the Wallet? What do people believe is more valuable, their cellphone or their wallet? Of course, most people say it is their wallet. Yet, that may be changing as the functionality of cellphones expands into areas that have long been considered a wallet function. Each day far more people reach for their cellphone than they reach for their wallet, and this behavior has not escaped marketers who see the cellphone as an obvious replacement for the common wallet. Over the last five years, cellphones have evolved to be much more than telephone devices. Today these are used for gaming, as music players, for web browsing, to obtain travel directions and as an electronic wallet. 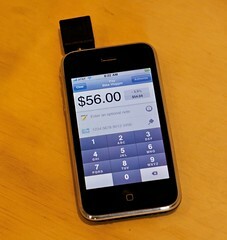 In fact, the cellphone as an electronic wallet may be the Holy Grail of mobile applications. Instead of carrying around a phone and a wallet, marketers and their technology partners are developing applications that shift wallet functions to mobile devices. The iPhone App store has several apps that replace the wallet’s storage function (i.e., holds paper information) including apps for developing grocery lists, expense tracking, currency conversion, calendar, calorie counting and more. In terms of the wallet’s payment function (i.e., money, credit card holder), we also have recently seen cellphones used to purchase and receive tickets for event and to make payments at vending machines. This story shows another application of the cellphone as an electronic wallet where retailers are offering their loyalty cards within cellphone applications. What is especially appealing is the GPS abilities of newer mobile devices, which enable marketers to target their loyal customers based on their current geographic location or path they have taken. Retailers can choose which actions they want to reward and what the prizes will be. Gap is sending customers a 25 percent discount coupon after they check in twice to a Gap store. Burger King is offering a soda with a sandwich or a coffee with a breakfast sandwich to people who check in three times. What are the product implications of the cellphone as an electronic wallet? What does it mean for the development of new products that are considered to be complementary to the evolving cellphone? « Is There Another Motive Behind AT&T’s iPhone Pricing Change?